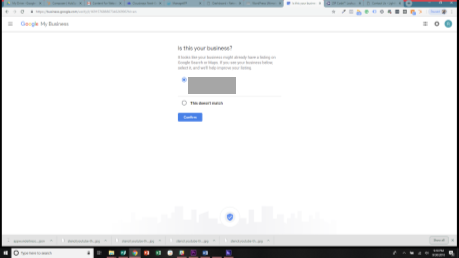 If you’ve ever Googled a business and their info popped up at the top or right-hand side of the search results, with a picture and the basic info about them, there’s a chance that business is using Google My Business. 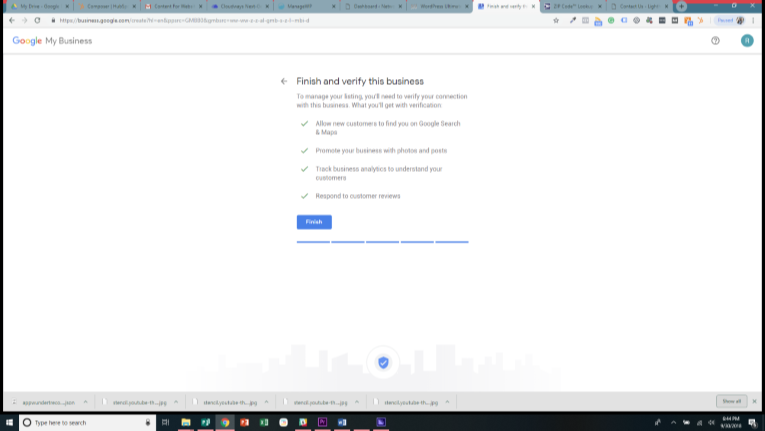 Google My Business is Google’s way of allowing us business owners a way to provide info for them to use in search results and more. 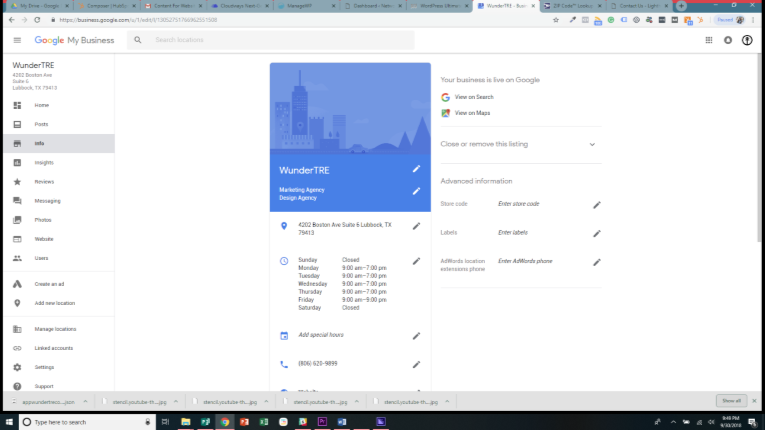 In this post, I’m going to cover what all GMB does for you, how to set it up, and how to utilize it on a regular basis. 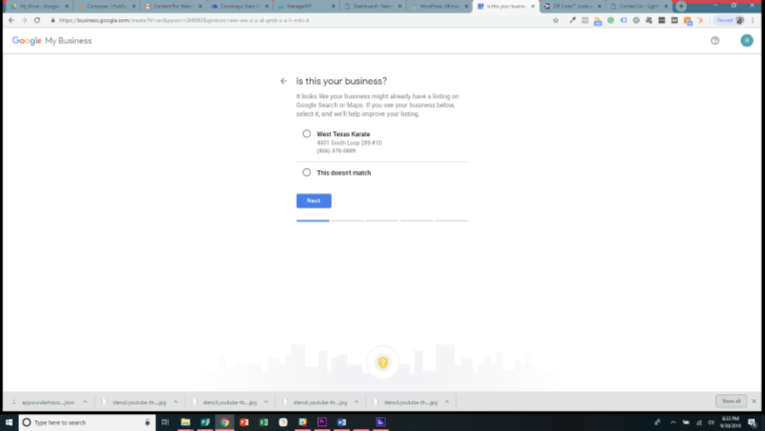 What Does Google My Business Do for Me? 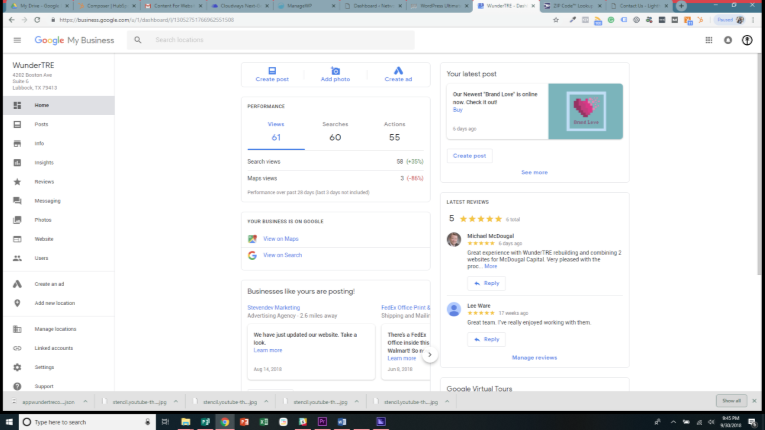 Google My Business is very powerful and can do a lot for you. Here’s a list! 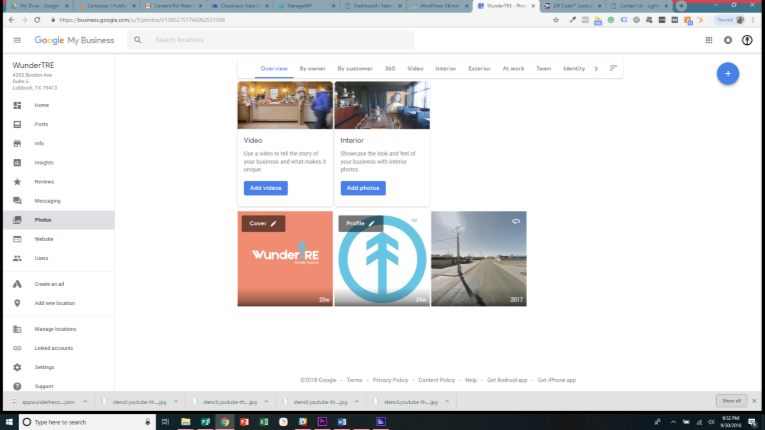 Add pictures for people to see when your business shows up in search results. 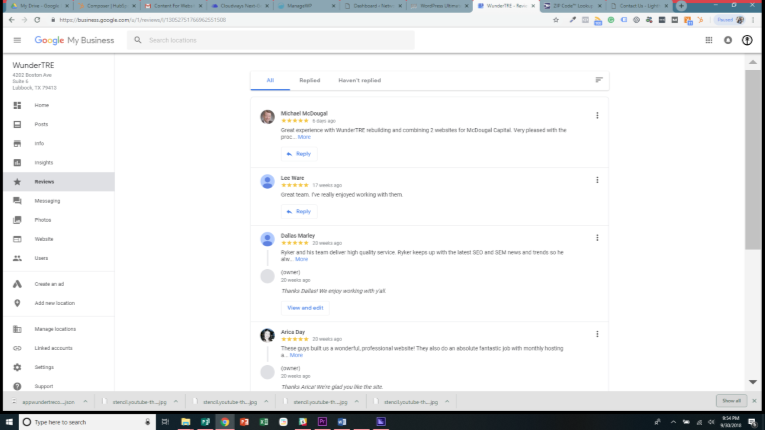 Manage and respond to reviews people have left you on Google. Add a Q&A section right on your GMB profile. In addition to the above list, GMB adds credibility. If people search for you and can find what they’re looking for, you can bet that they’ll find your business more credible as opposed to if you didn’t have a strong GMB profile. 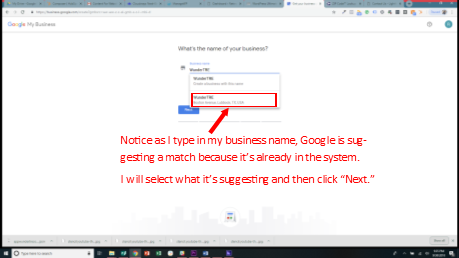 How Do I Set Up a Google My Business Profile? Glad you asked! We’re going to cover that now. I’ll break this up into parts for the sake of readability. 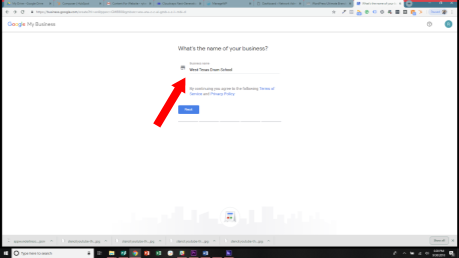 You’ll start by going to the Google My Business home page found here. Once you’re there you’ll click the “Manage Now” button in the upper right-hand corner. 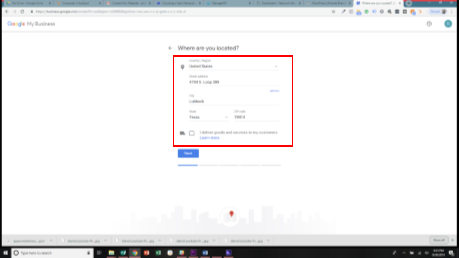 You can have multiple locations for a single business, or, locations for different businesses all in one GMB account. You’ll click the ‘Add Location” button to get started. 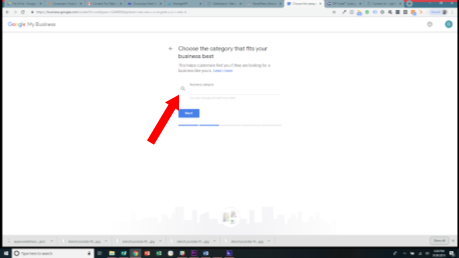 Once You’ve Clicked “Add Location”, a screen asking you to enter your business name will appear. Enter the name of your business. The next screen will ask you to enter your businesses basic info. Be sure to fill it all out. If your business delivers to your customer’s location, be sure to check the box at the bottom of the form. Google may suggest businesses to you that are already in their system if they think you’re trying to add a duplicate. In the photo below I’ll show you what I’m talking about. It’s a rare case though, Google got it wrong and I’m not actually trying to add that business. I just checked the “This Doesn’t Match” option and clicked next. If in your case it does match, check the listing that it matches and click next. 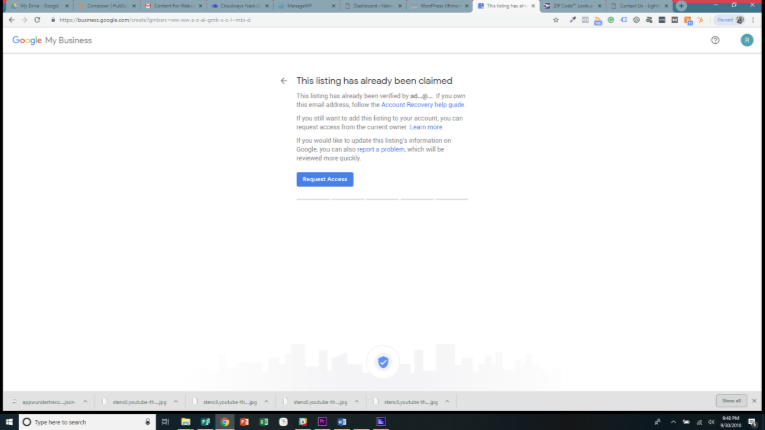 It will take you through the process of claiming the listing. I have the claiming process documented further below in this post so feel free to scroll down some. If the business you’re trying to add didn’t match the suggestion, or Google gave you no suggestions let’s keep moving along. The next step will be adding your business category. As you start typing Google will suggest a category for you, you’re not able to make your own so pick the closest one to what you do. The next screen will prompt you to add your basic contact info. 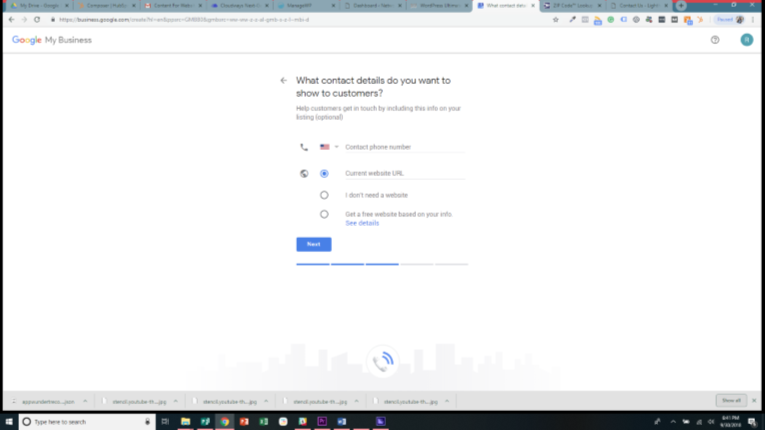 You’ll want to add a phone number you’re comfortable with anyone searching for and calling, and then add your website URL or check the “I don’t need one” option. Once you’ve done all that, your business is ready to be submitted. You can click the “Finish” button. Now, you could technically be done after you click finish, but, you’d really be missing out. You really need to get “Verified” in order to use GMB to its fullest extent. I’ll be covering the Verification process in the next part. If you’re following this guide to create your location, then right after clicking “Finish” you’ll go straight to a verification screen. Below is the screen you should be seeing. You may see one, two, or all three options for verification methods as we see above. If you choose the phone option, they’ll call or text you with a code that you enter on the subsequent screen and boom, verified. If you choose to email. They’ll send you a code to the email you entered. You’ll follow the instructions in the email to finish the process and boom, verified. 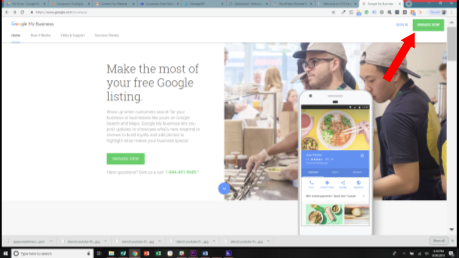 If you like getting mail the traditional way, Google has that as an option too! They’ll send you a postcard with a code on it to the address you entered as your business location. It usually takes 5 to 7 days to get it in the mail, when you do, follow the instruction in the card and boom, verified. 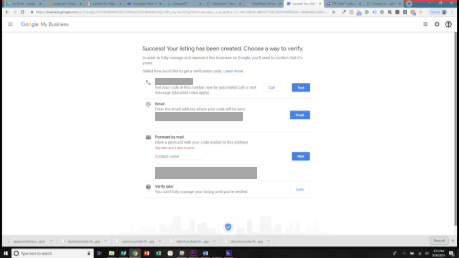 If you haven’t followed this guide to create the location and you’ve set up your listing in the past without verifying, or you did follow the guide but hit “Verify Later” on the verification screen, these are the steps you should follow. 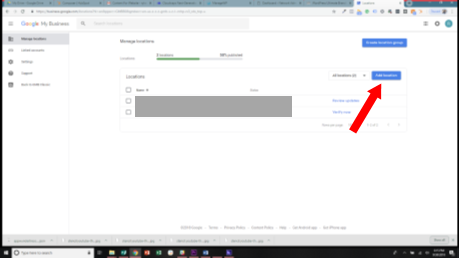 Once you’re on the home screen for the business location you’re working on, you’ll most likely see multiple buttons that say “Verify Now.” Click one of them to get started! After clicking Verify, you may be asked to verify your location, as pictured below. After clicking confirm, you’ll see the verification method screen, pictured below. Whoever was the primary contact that had claimed the location will get an email allowing them to grant you access. Once you’ve created and verified your location, you can add more info. Below is a picture of what the locations home screen looks like. To add or update basic info to your profile, such as hours, a bio, and more click “Info” of the left-hand menu. These are the options you’ll see. If you want to add photos, click “Photos” of the left-hand menu. These are the options you’ll see. If you want to manage reviews, click “Reviews” of the left-hand menu. These are the options you’ll see. That should cover the most common things you’ll want to deal with on your GMB profile. There are other tabs as well on the left-hand menu. You can explore each one further to see what it does and how it fits in with what your business needs. 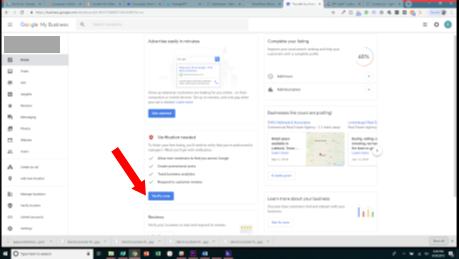 I hope this post has been helpful to you and that you’ve been able to follow it from beginning to end to get your GMB listing set-up correctly! Did you find something in the set-up process I didn’t cover? Are these steps not working for you? Let me know in the comments, and I’ll try to help you out! If you find yourself without the time to be able to set everything up properly, reach out to us! Til next time, Ryker out!